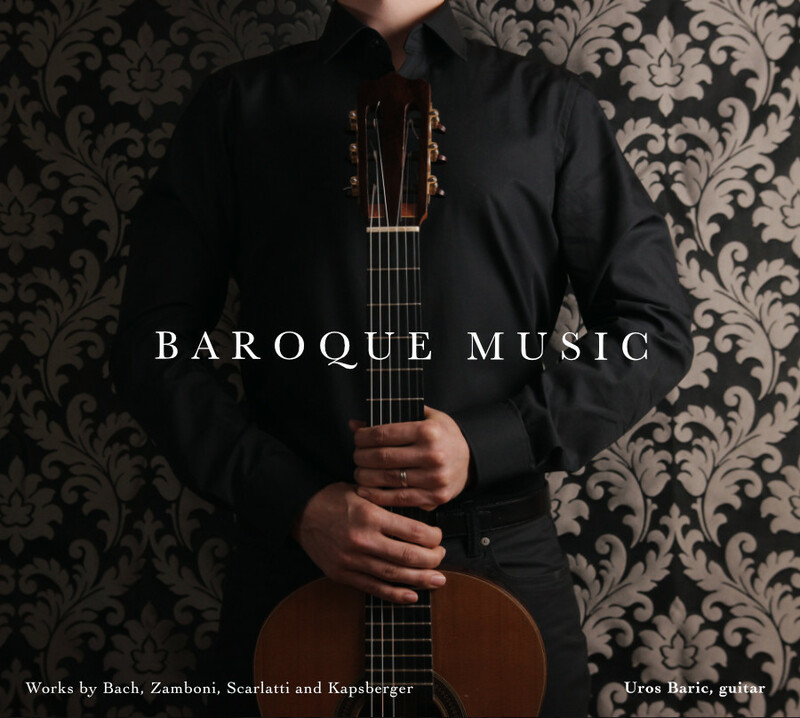 I’m proud to present Baroque Music – my brand new album featuring Baroque masterpieces by Bach, Zamboni, Scarlatti and Kapsberger. Please take a look into this project or listen to the album samples by visiting the album’s website. If you’re interested in buying it, please take advantage of the low introductory price until June 23 as well as free standard worldwide shipping. To jump from track to track, please visit the video on YouTube, go to the description and click on the time labels. I have seldom heard guitarists play baroque – or any – music in a way that both moved and delighted me, as your playing does. HC Guitare: Wonderful and rich tone. You’re the best to record a guitar as it should be. Great moment of guitar. 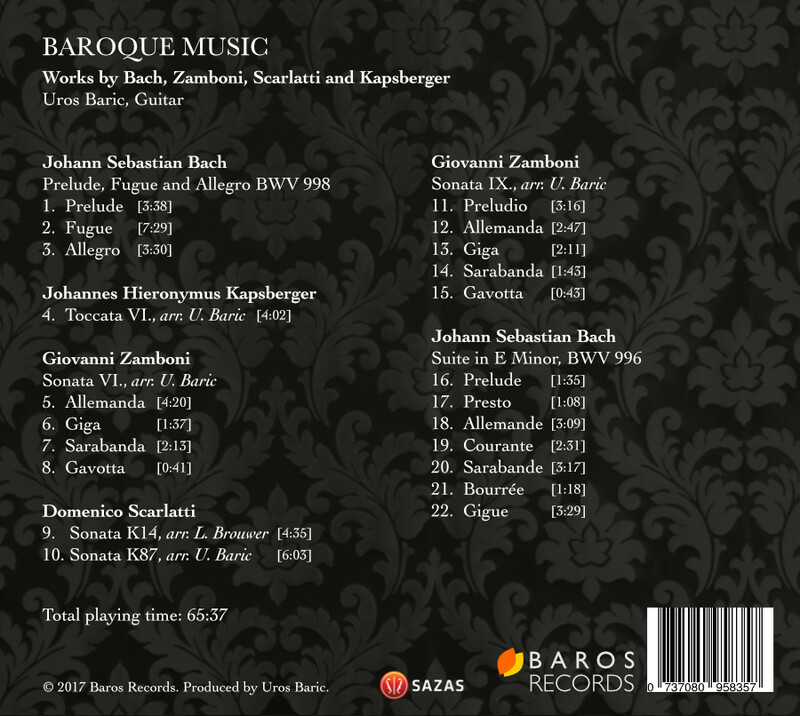 While the album highlights are undoubtedly the two works by J. S. Bach, originally composed for lute-harpsichord, »Prelude, Fugue and Allegro BWV 998« and »Suite in E Minor BWV 996«, the record also contains two keyboard sonatas by D. Scarlatti, »K14 and K87«, as well as Baric’s own transcriptions of lute works, G. Zamboni’s »Sonata VI. and IX.« and J. Kapsberger’s beautiful »Toccata VI.«. A must have to everyone who loves barroque music and guitar! Thank you very much, Wellisom.